It starts with patented, heat-radiating FireBrick® material. 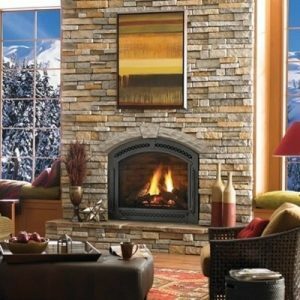 Skillfully molded with seamless cantilevered corners and textured detail, the Cerona gas fireplace takes form. It ends in the only true-arched gas fireplace of its kind—a modern take on an enduring classic. Burn Rate Range: 25,000-48,000 BTUs/hr.